A quick glance down the list of all of the burger & American BBQ joints that have opened in Glasgow over the past year or two will show that pretty much every establishment appears to be located in the City Centre or the West-End, with one or two scattered in the south-side of the city. Glasgow’s East end is still playing catch-up when it comes to the booming burger scene, with very few options other than bland burgers being served out of local takeaway shops or the odd fast-food drive-through here and there. 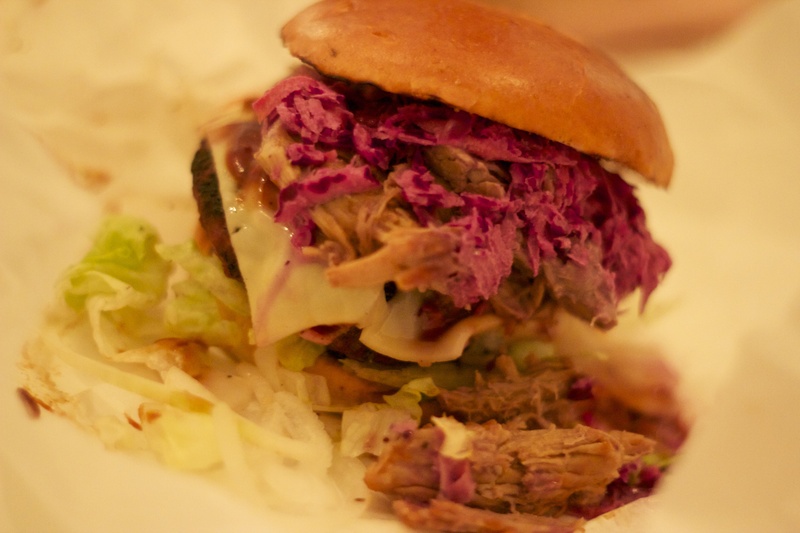 When we heard about a new place, simply known as ‘Dennistoun Bar-B-Que’, serving up ‘pit pork, burgers and ribs’, we knew that we had to check it out and wondered if it would be the place to kick-start a gourmet burger craze in Glasgow’s East-End. Located on Duke street with only the letters ‘BBQ’ hovering above the door, it’s a fairly easy place to miss, but I liked its unassuming, low-key appearance and as we walked through the door, my hopes of uncovering a new gem were high. Inside, ‘BBQ’ is as unassuming and low-key as it is from the outside. There’s nothing fancy here, just an open kitchen area behind the counter, a few tables that look like they’ve been lifted out of the nearest school canteen, some mis-matched chairs and some interesting art work on the walls. There’s burgers sizzling away as we walk in and a few menus scattered around. I like the make-shift, almost pop-up style appearance of the whole place – my hopes are still high. I opted for the Columbia burger – a beef patty topped with streaky bacon, cheese, pit-pork, slaw and salad and also for a side of ‘Wet Fries’, which came with no description on the menu, but piqued my curiosity. I placed my order and was informed that I’d be called when it was ready. Just as we went to sit down, a customer sitting at another table was called to say that his Columbia burger was ready. I immediately got hungry just looking at him carry it back to his table, pulled pork dripping from the sides of the bun. As we sat at our table, the sounds of sizzling burgers and the smell of bacon floating from behind the counter made us hungrier with each passing minute; however, 35 minutes later and there was still no sign of any food. Having watched others who had came in after we had ordered come and go, I decided to enquire about our food. I was then informed that our food was ready, had been bagged up for takeaway and was being kept warm. I was a tad confused, as I hadn’t been asked if I was taking the food away when I ordered and had actually pointed to the table that we were sitting at after I had placed the order. The staff member; however, mentioned that she had thought that I had left and was going to come back to collect my food. Again, I found this a bit strange since I hadn’t moved from my table, had let her know where we were sitting (the place isn’t big) and hadn’t actually been asked if I was opting to sit in or take away when I placed the order. Regardless of the confusion, it’s understandable that these things just happen sometimes. It was an honest mistake, so we just took the food to our table, unwrapped it and were looking forward to getting stuck in. Unfortunately, it wasn’t entirely worth the wait. The burger was big and overflowing with toppings. It didn’t look quite as impressive as the one I’d seen the other customer with when we first sat down, but I’m guessing this was to do with the fact that it had been wrapped up in paper for some time. Presentation-wise, it was all a bit messy but that’s not necessarily a bad thing – some of the best burgers are the messiest ones, after all. Taste-wise, it was a mixed bag. The bacon was well cooked and packed a lot of flavour and the pulled pork was absolutely tremendous – smokey, rich, tender and not swimming in barbecue sauce like you’ll find in some other places. 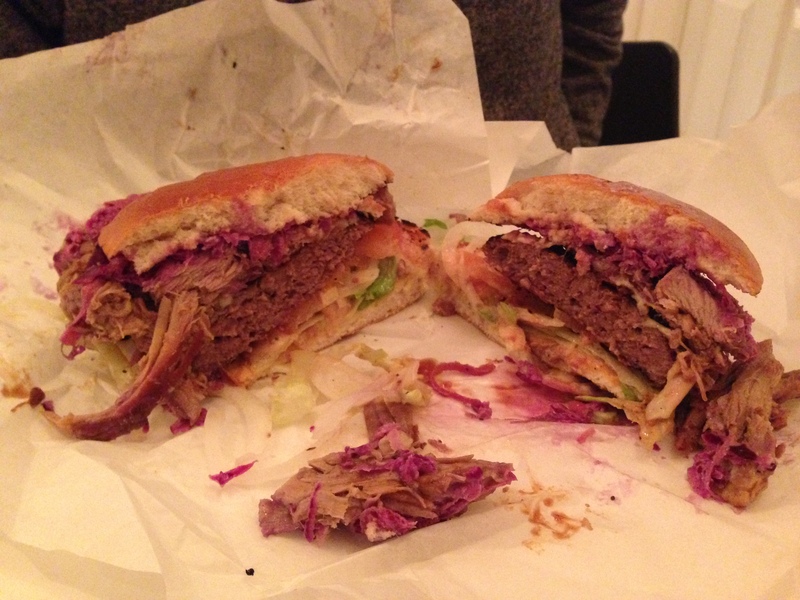 I also really liked the slaw – nice and tangy, without being too overpowering. Very good. The bun was decent too and didn’t fall apart, despite the large number of toppings, but the big let down here was the actual patty itself. The patty lacked any real flavour, tasted cheap and was badly overcooked. I’m not sure if the patties are made in-house or bought from a supplier, but this one certainly wasn’t up to the same standard as the delicious pulled pork that came along with it. The wet fries were also a massive disappointment. 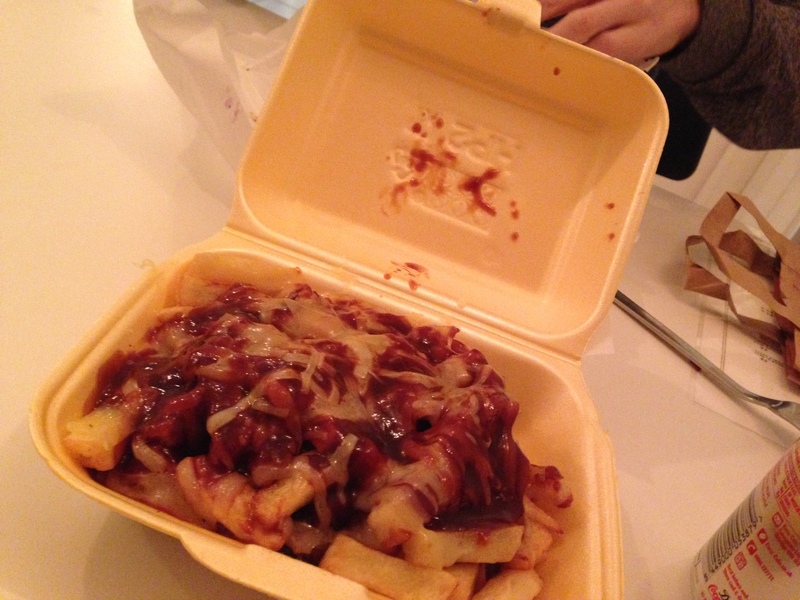 Basically just chips, cheese and barbecue sauce, we only managed a couple of bites before giving up. Looking and tasting more like something you’d get out of a late-night takeaway as you stagger into a taxi after a night out than the other sides or poutine-style dishes served up at many of Glasgow’s other establishments, these didn’t offer anything appealing in the slightest. The fries tasted cheap, were swimming in cheese and the barbecue sauce tasted overly-sweet and processed. I saw some of the regular and seasoned portions of fries being served to other customers and these looked much, much better. You should get those instead, if you decide to pay ‘BBQ’ a visit. After leaving just under half of the burger and pretty much all of the fries, we left feeling rather disappointed. 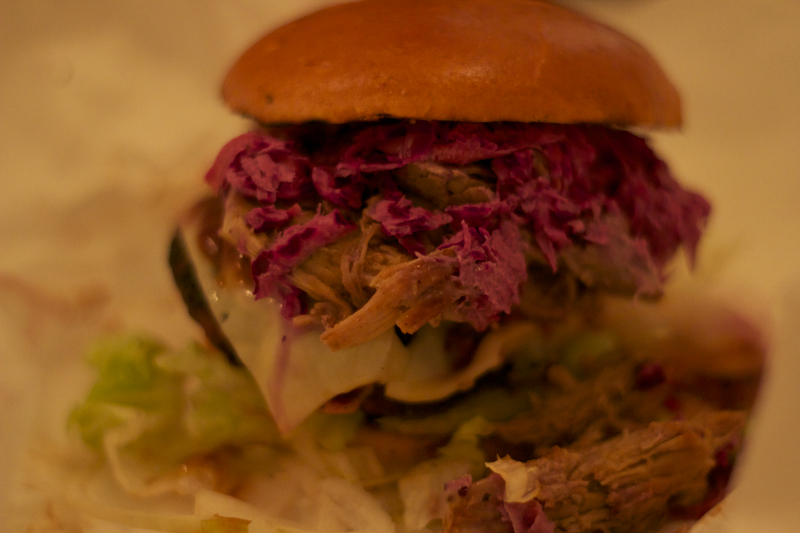 I really wanted to love this place – it’s low-key, pop-up style and super friendly service, despite any order mix-up, were all high points and the pulled pork was absolutely phenomenal. Despite this, a poor quality burger patty and dreadful ‘wet fries’ really let it down. I don’t want to completely write the place off as it certainly has great potential. Also, judging from the feedback from JVB readers, it would seem that the other, non-burger menu items are actually very good. ‘BBQ’ hasn’t been open for very long and it may just be that they are still trying to find their feet, but this experience certainly didn’t make me want to rush back in a hurry. + Pulled Pork was absolutely fantastic. + Bacon was well cooked. – Burger patty tasted cheap and was overcooked. – ‘Wet fries’ were disappointing. If you watch them make the burgers it is obvious the patties are bought in from some mass supplier. They also have a hard texture of supermarket ones. Just a total disappointment. However, like you said, everything else is good. What you missed, and are amazing, are their BBQ Beans. Those are a God-send. £2 for a tub of smoky, rich, meaty beans. So much potential for this place and it seems the staff want to see it succeed but untill the burgers are fixed it won’t. I’m glad, on reading this, that I wasn’t alone in my sense of disappointment……..
I’m a local and stoked to have this type of place near-by but the food was such a mixed bag. 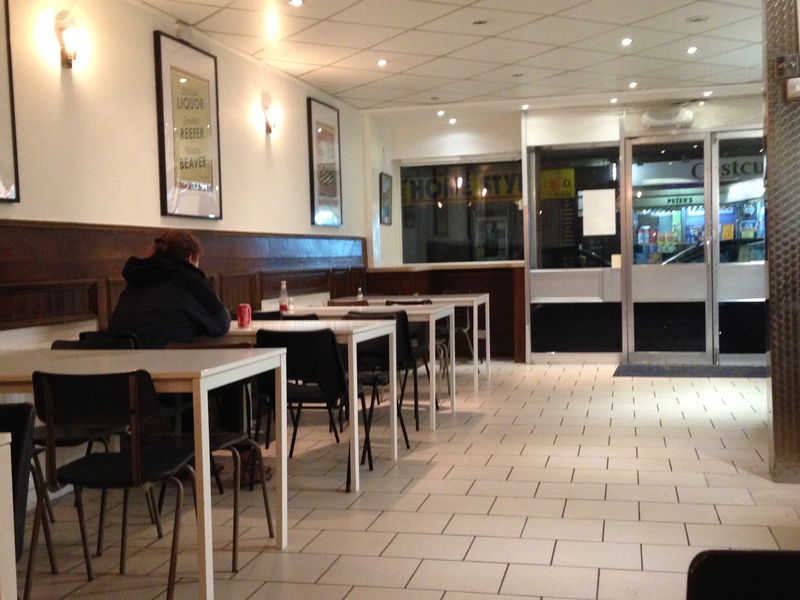 Only a few mins away are Nakodar Grill, an awesome Indian and Claudio’s Chippy, a possible Top 5 Chippy in Glasgow. I really hoped this wouldn’t let the side down. The burger patty and fries were a right-off (admittedly, the seasoning on the fries worked but f*ck me, how hard is it to cook straw fries?) **The Pulled Pork bun for 4 1/2 quid, however, is the biggest steal in the UK**. They clearly have NO system for ordering, there’s one guy and his mum being slow, friendly and hugely ineffectual. The place was rammed the night I went and they got every order mixed up, delayed or wrong. Everything was stone-cold when I got it home to my flat 2 streets away. It’s easy to see what’s sparked the idea, you really don’t have to search too hard to find amazing examples of this type of scran. I’d go so far as to say that it’s almost difficult to find a bad burger in Glasgow these days but this went to great lengths to be that place. But, for me, that’s exactly the problem – they advertise as BBQ yet hide all that amazing stuff behind a really extensive burger menu that, like someone you didn’t invite to a party, turns up late, drunk and with sick down its hoody. Why are there no BBQ specials? Why did no one stop me in the street and urge me to plug my cake-hole with Brisket and strands of sticky Pork? Why? Because they’re selling burger-van-burgers to people who exclusively don leisure-wear, all to pay the rent and they do not have the courage to trumpet their enthusiasm for the one thing that got them excited in the first place. BBQ. Well you guys either have no palette or the burgers must have changed! I got food from here the other night and apart from my homemade burgers these are the tastiest and meatiest burgers I’ve had since I was in the US. They are proper beef burgers and as far removed from supermarket/burger van burgers as you could get! This place is top notch so go down and give it a go; I’m on my way to collect anther order and I won’t be disappointed! American style food and diners seem to be becoming extremely popular and a re popping up everywhere. 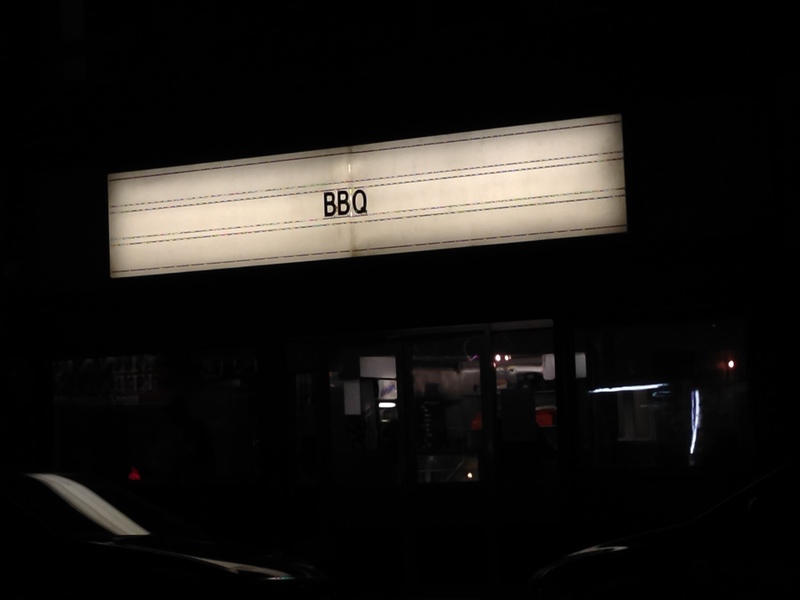 It’s a shame BBQ didn’t live up to your expectations. Hopefully as the owners get more experience, the food might become better. This place is now awesome. Dennistoun BBQ has really found its feet now; the patties are gorgeously chunky and no problem whatsoever with the fries. The sandwiches are awesome too, my veggie mate loves the veggie bacon sandwich and the non-meat burgers. The furniture’s been updated too since your review James, nice solid wood tables. I’d say this is the best value burger BBQ joint in the city at the moment. Martin, I’m going back again to try it soon. I’ve heard fantastic things about the veggie burger. Need to give it another go. if you prefer. Fortunately, finding a yacht charter service is not that difficult. in the Netherlands is a popular pastime. I went along on Friday after being tipped off by a friend about the place. Can’t believe after reading your review we are taking about the same place. On arriving we were greeted by a very pleasant lady who was only too happy to take us though the menu and order process. There was a 15/20 minute wait on our food. nothing major, however I’d have happily waited 1 hour and 20 minutes for what i received for my £22.50 I paid. 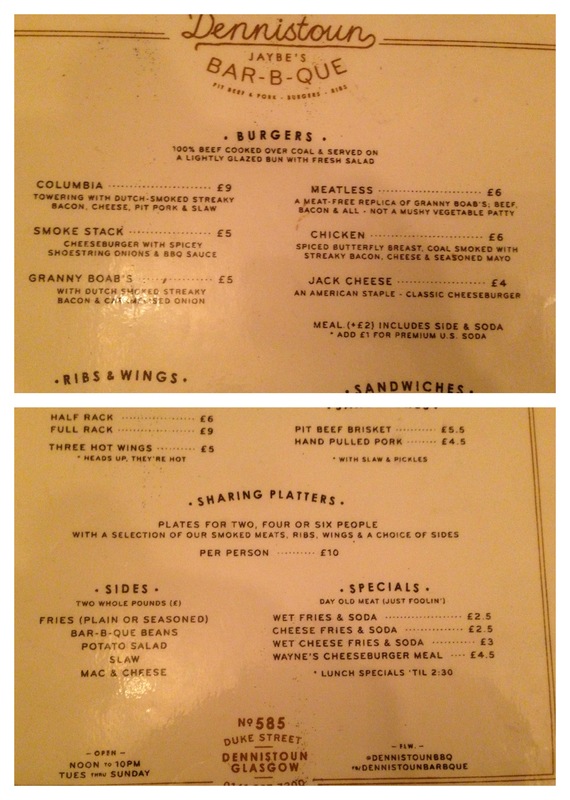 My lad went for the chicken stack and fries, I myself had the Columbia and fries. Although I never tried his burger the fact it lasted around 35 to 45 seconds told it’s own story. My burger was one of the best I have tasted. The patty was big and tasty in equal proportion, and the pork was beautiful. The fries also were great. Not to start bad mouthing other more recent overpriced McDonalds that have opened. This place is miles ahead in terms of price but more importantly, quality. A personal touch when you are called by your first name to inform you your food is ready where you are not queuing like cattle holding a number awaiting your mass produced over priced product..